I've recently realized that I find it very pleasing to look at rounded soft silhouettes in pastel colors. 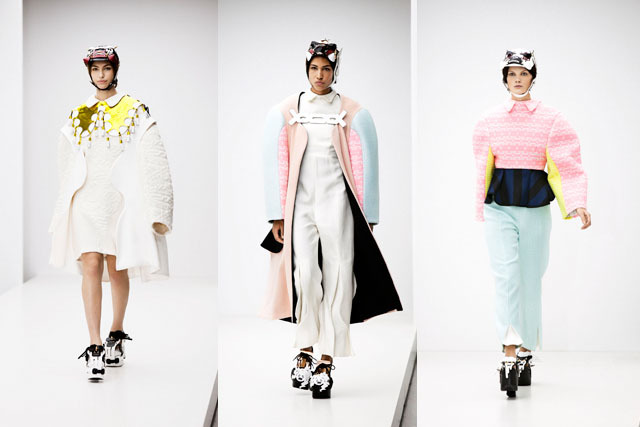 Having a major hangup on recent design graduates Xiao Li and Minju Kim. Can't wait for mass production. Ugh, yes! Shapes like these are what fashion is about. And love pastels.